A great start for Rahul! 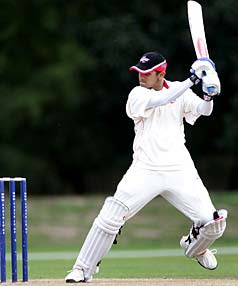 In a practice match against Central Stags, he scored a ton (102 in 164 balls with 13 boundaries). 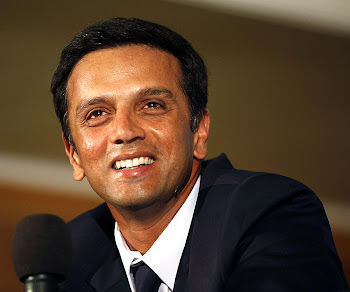 "It was a good game, I really enjoyed it and it was a good chance to bat and spend some time in the middle and also it was a good competitive game and it was disappointing not to win the game," Dravid said after the national championship match ended in a draw. Asked about when he heard he was turning out for Canterbury, Dravid said: "About 48 hours before I left (India)." "There was a bit of uncertainty about when we (India's test specialists) would come here and what was going to happen with the practice games, because of various issues. So I was asked to pack up and leave and play in a couple of days and it was good fun. "It was a really good wicket, it started out a little slow and damp, but it didn't misbehave and it played well right through until the end of the game." Finally some runs outside the domestic circuit... hope he does well on this tour considering that he is on a lifeline to stay in this team.